An inspirational mum from Cardiff has won a national award for her campaigning and fundraising achievements in support of Diabetes UK Cymru. Beth Baldwin received the Quality in Care (QiC) Diabetes People’s Award at an awards ceremony in Guilford on Wednesday 18 October. Beth’s son Peter, 13, passed away from undiagnosed Type 1 diabetes in 2015. Since then, Beth, her husband Stuart and Peter’s sister Lia, 12, have campaigned tirelessly to raise awareness of the condition, hosting a multitude of fundraising events and presenting to Assembly Members at the Senedd. The family have so far raised over £70,000 for Diabetes UK Cymru and helped to launch the ‘Know Type 1’ campaign last summer to raise awareness of the symptoms of Type 1 diabetes. Around 1,400 children and young people in Wales have Type 1 diabetes, but one in four are not diagnosed until they are seriously unwell with diabetic ketoacidosis (DKA), a life-threatening condition requiring urgent medical attention. Diabetes UK Cymru’s ‘Know Type 1’ campaign raises awareness of the early symptoms of Type 1 diabetes, known as the 4Ts: Toilet, Thirsty, Tired, Thinner. If a child is going to the toilet a lot, has increased thirst which they can’t quench, is more tired than usual or is losing weight (getting thinner), then they need to be taken to the GP immediately for a finger-prick test, to get treatment that could prevent the potentially fatal DKA. Since the campaign launched, Beth’s campaign video has been seen by more than one million people across Wales. The Baldwins also worked closely with the Petitions Committee on a report that called for better diagnosis of Type 1 diabetes in children and young people. The Welsh Government accepted all ten of the recommendations made in the report in September. 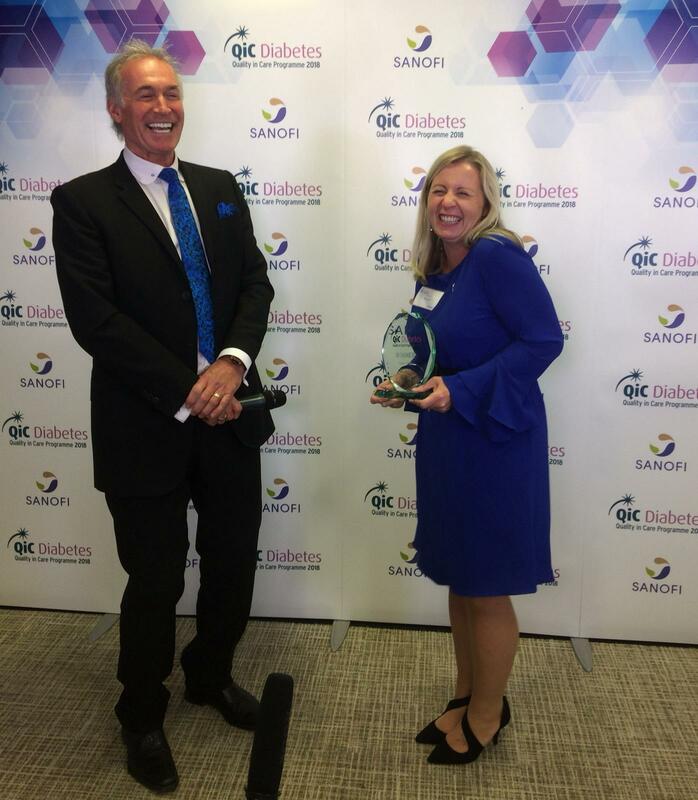 The QiC Diabetes ‘People’s Award’ recognises the outstanding work of carers, campaigners and fundraisers from across the UK, who make a real difference to people living with diabetes. The award was presented to Beth by Diabetes UK Trustee Bob Swindell. Good Morning Britain’s Dr Hilary Jones presented the ceremony and drew special attention to Beth’s amazing work in his speech. This is not the first time Beth has been celebrated for her work. This summer she was named the UK’s Best Volunteer Fundraiser at the Institute of Fundraising’s National Fundraising Awards in London. In 2015 she won Wales’ Fundraiser of the Year at the Pride of Britain Awards. Beth Baldwin said: “I’m honoured to receive this award. Knowing that the diabetes community voted for me means so much. It is a real privilege to be part of such an inspiring and proactive movement. Dai Williams, National Director, Diabetes UK Cymru said: “The Baldwins are a truly inspirational family and we are honoured to work with them to create a lasting legacy for Peter. We are proud and delighted that their incredible efforts have been recognised once again on a UK scale.